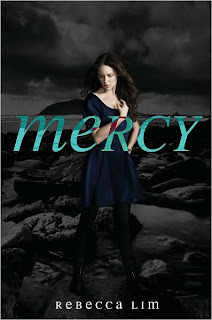 As part of the Mercy Blog Tour, I'm hosting a very exciting giveaway! 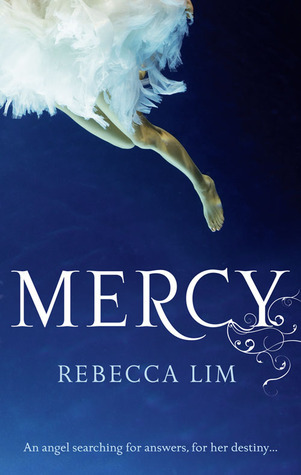 I am giving away 10 copies of Mercy by Rebecca Lim to lucky readers from US/Canada, thanks to Hyperion and Wiley from Authors on the Web. The deadline is July 5th and please fill in the form in order to officially enter. You do not need to be a follower of my blog in order to enter, but it's always appreciated. Lastly, please refer to my giveaway rules. Want to learn more about Mercy by Rebecca Lim? Read the synopsis below. I don't know about you, but this one is definitely a book I want to read this summer. It sounds like an exciting start to a new paranormal series. Goodreads says, "There's something very wrong with me. I can't remember who I am or how old I am, or even how I got here. All I know is that when I wake up, I could be any one. It is always this way. There's nothing I can keep with me that will stay. It's made me adaptable. I must always re-establish ties. I must tread carefully or give myself away. I must survive. Mercy doesn't realise it yet, but as she journeys into the darkest places of the human soul, she discovers that she is one of the celestial host exiled with fallen angel, Lucifer. Now she must atone for taking his side. To find her own way back to heaven, Mercy must help a series of humans in crisis and keep the unwary from getting caught up in the games that angels play. Ultimately she must choose between her immortal companion, Lucifer, and a human boy who risks everything for her love." Thanks again to Hyperion and Wiley from Authors on the Web for allowing me to be a part of the blog tour and host such an incredible giveaway. Good luck! It sounds amazing. I love angelic tales.